Among life's necessities, skunk-themed trucker bars are pretty close to the top of the list. Luckily, refined whiskey saloons are even closer. In this spirit, it's time to welcome an elegant new booze hideaway into the former home of Stinkers Truck Stop. It's called The Thirsty Crow, and it's now soft-open in Silver Lake. 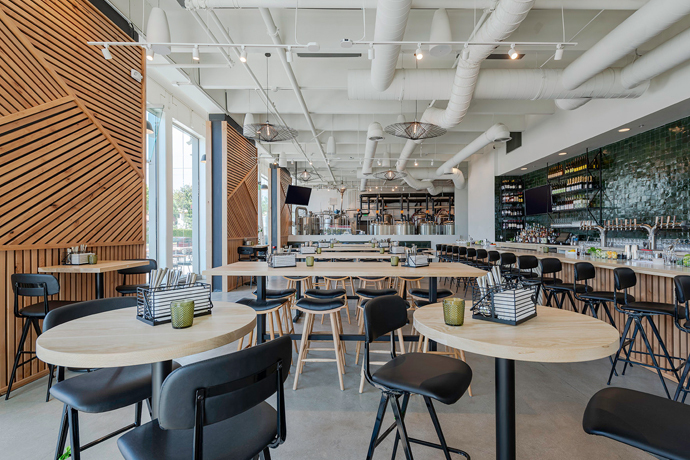 You'll want to take a seat by the newly installed front windows to catch the last rays of the sunset over Sunset, best enjoyed over the signature Thirsty Crow, a whiskey and ginger beer concoction slung your way in a mason jar. Then maybe it's time for a stool at the circular bar, and a chat about the good stuff with your well-tattooed bartendress—they've got a long list of bourbons, ryes and whiskeys here. And later on, you'll probably want to move behind the curtain to the brick cove in the back, where you can get to exploring that list with a little more privacy. Which you're always thirsting for.